Why go anywhere else? Grill Tanks Plus, the One Stop BBQ Grill shop! 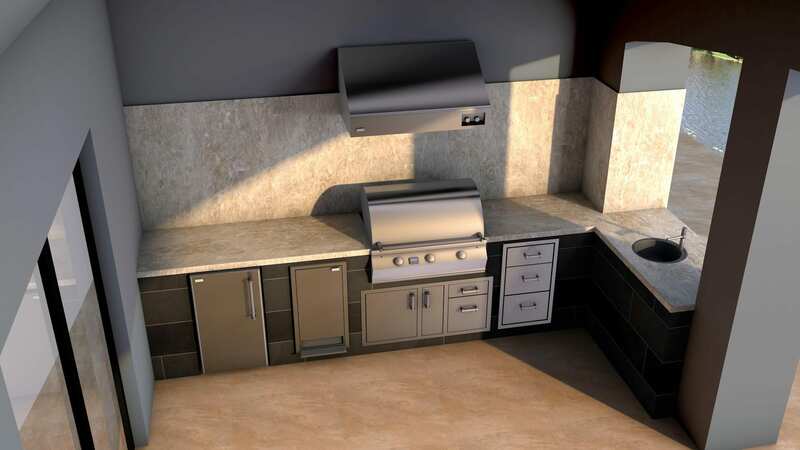 Grill Tanks Plus outdoor kitchen division makes your design process one you'll never forget. It all starts on site where we consult based on your individual needs and desires. We're here to build what you want not what we want. On this visit, we will take all the needed measurements, acquire property images, and establish material selections.  Next, you will, within 5 days, receive a quote. 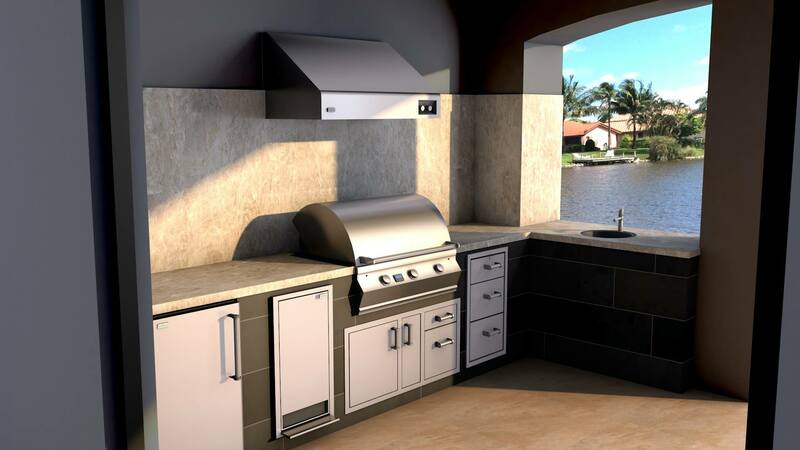 If the quote is acceptable, then a $350 to $500 deposit is required to begin the 3d design process; price depends on the magnitude of your outdoor kitchen. No one in our local industry delivers higher quality renders than we do, and once done you own the designs. 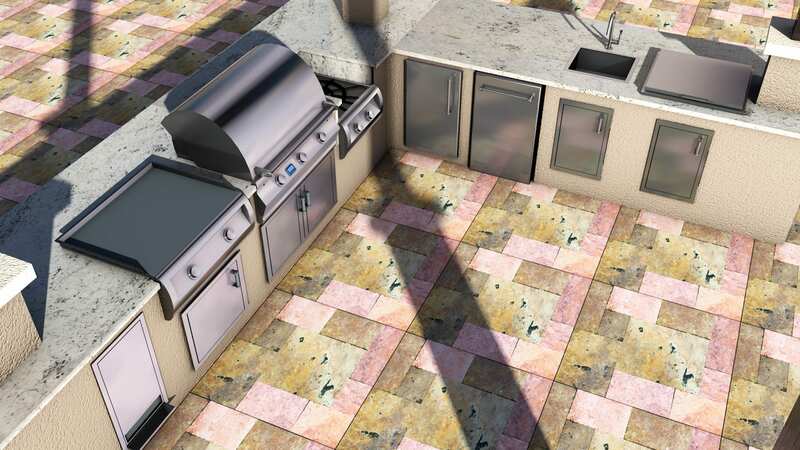 Continuing forward, once your design has been approved, a 50% deposit is required, and we begin building your dream outdoor kitchen. At this time also we establish your appliances. 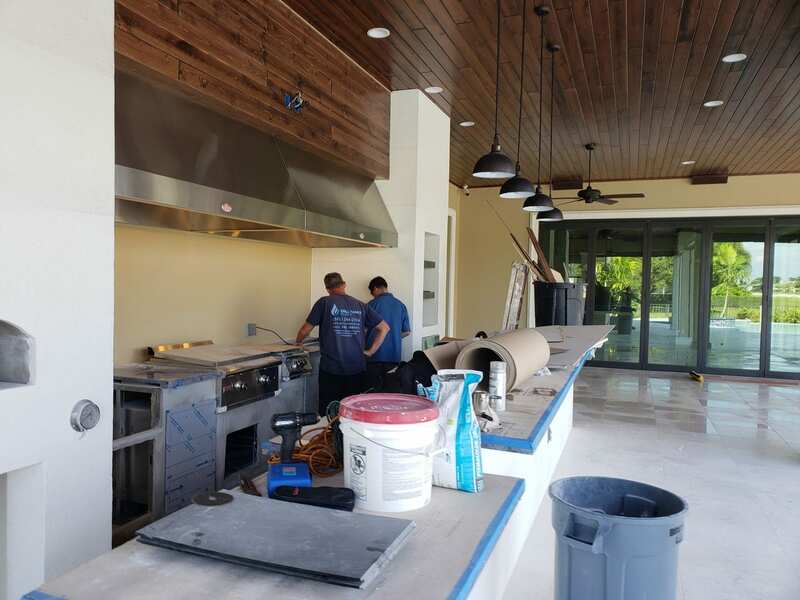 Once the construction phase calls for ordering appliances, another 25% is due and the last 25% is due upon project completion. All of our outdoor kitchens come with a FREE 1 YEAR service plan. Deep cleanings and free service calls are among the numerous free features of your plan. We have over 180 FIVE STAR reviews for a reason, we put our clients first! 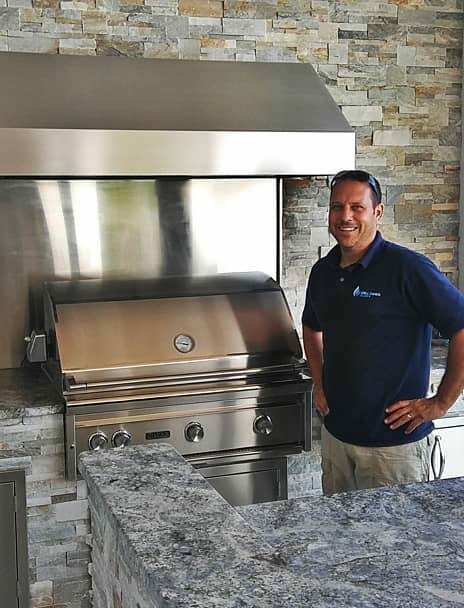 Your one-stop shop solution - From Outdoor Kitchens & Fire Products to Gas grill sales & installation, repair, cleaning & Mobile Propane Tank Exchanges, we got you covered. At Grill Tanks Plus we understand who puts the food on the table and therefore treat our clients with the honor they deserve. We are not in business to take money; we're here to earn it. That's why we sometimes resolve your BBQ Grill Repair issues right over the phone rather than charging you $85 for a Service Call. 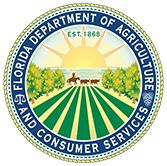 Licensed with the Department of Agriculture for LP work and insured with only the highest end insurance, we're official Service Providers for the biggest names in the industry. No one is perfect. That's why at Grill Tanks Plus we hold ourselves accountable and stand by our work 100%. If ever we do drop the ball, we will be there to make it right by you - the Client!